I was pretty against the whole fishnets under tights trend in the beginning but like all trends, I end up getting curious and at least wanting to try it out. I’m not a fan of the bigger fishnets which is why I was so against it (considering that’s what mainly fashionistas have used when trying out this trend) so when I saw that there were smaller ones, I knew I’d like them. I ended up getting a pair from Dollarama (thanks Carolina for the tip) because I’m not trying to pay more than $5 for fishnets, let’s be real here. $2.50 at Dollarama is where it’s at. 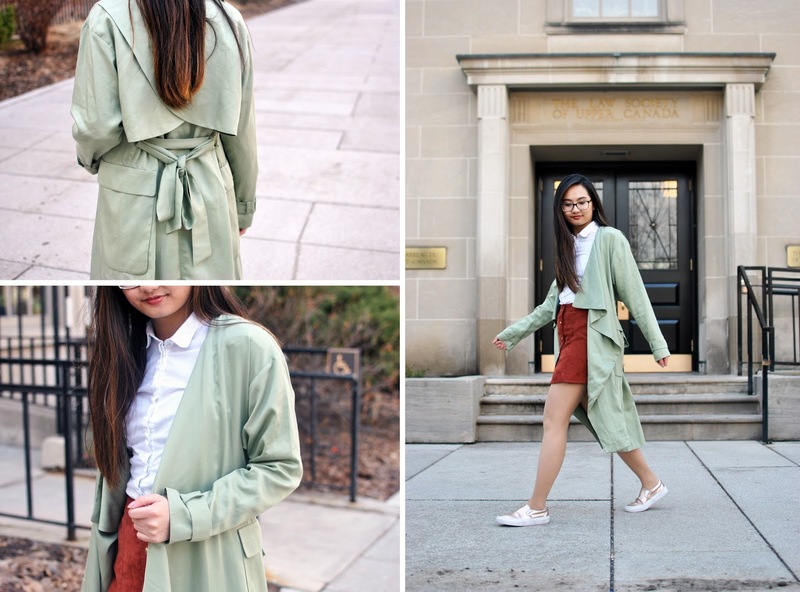 I recently received this scallop detailed suede skirt* from SheIn. I absolutely love the detailing on it! It’s a simple scallop cut but I think if there were some floral detailing or pattern along the scallops it would be even cuter. I paired this one with a light sweater since it’s a bit cold still. There’s even scallop cuts on trench coats at Club Monaco which are adorable! 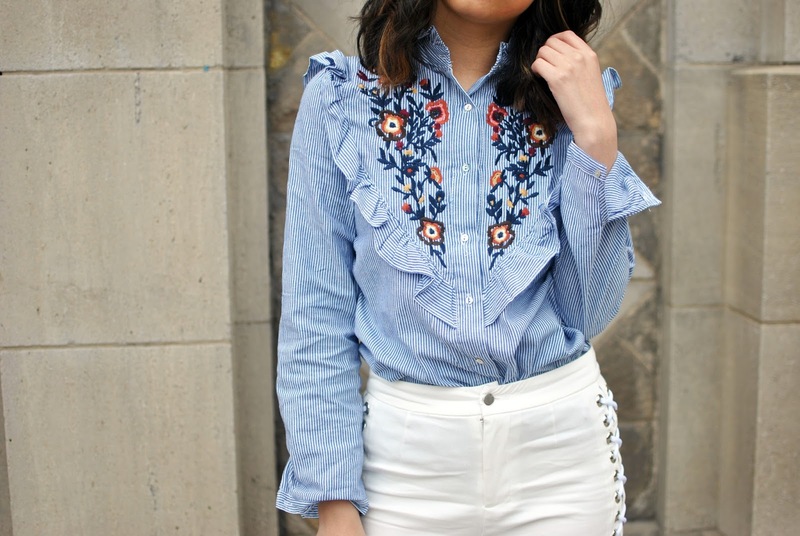 I’ve been obsessed with embroidered jeans since last year and I’m so glad the trend is continuing this spring. Last year they mainly had red and yellow embroidered jeans but now stores like Topshop and Storets have been coming out with other colours for the embroidery. 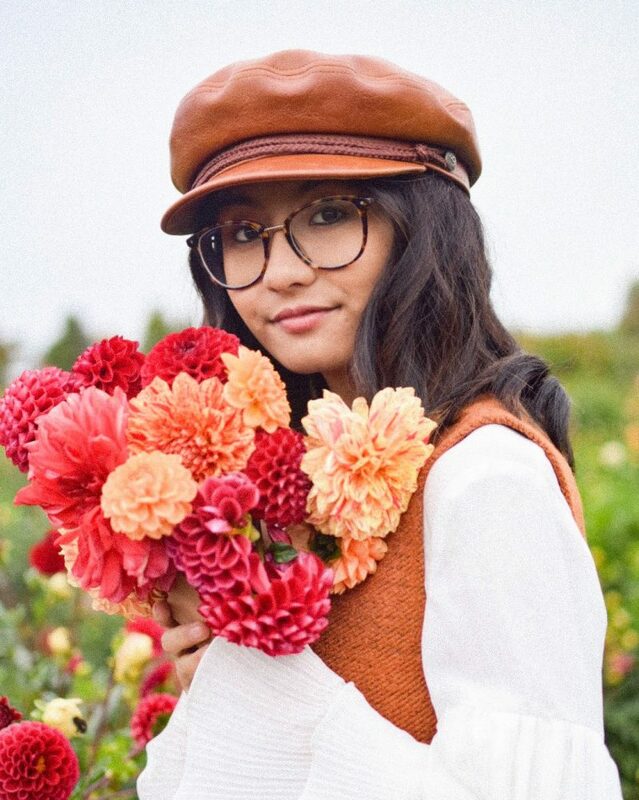 I recently got a pair from Dynamite that will be featured in my spring lookbook so I can’t wait for you to see that! 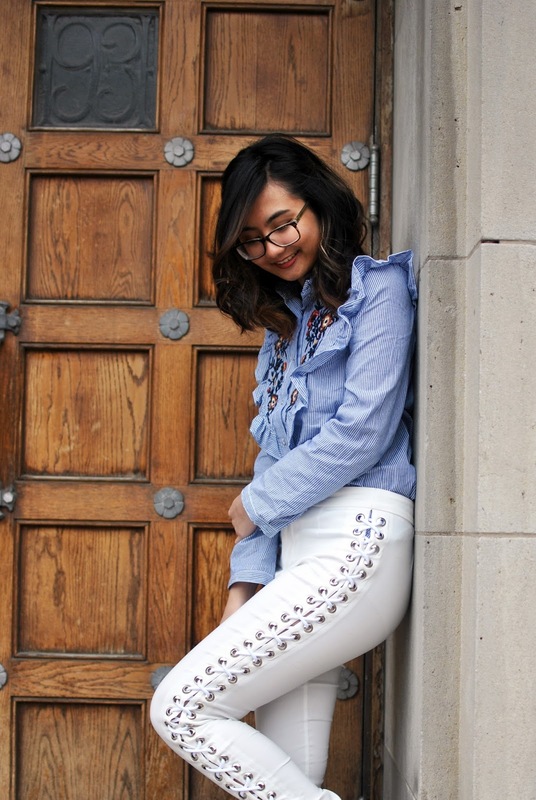 White jeans is one of the pieces you see a lot of people wearing during the spring. I mean it’s obvious by my “Little to No Effort” post from last week that lighter colours (almost all white) were common in all 3 outfits. 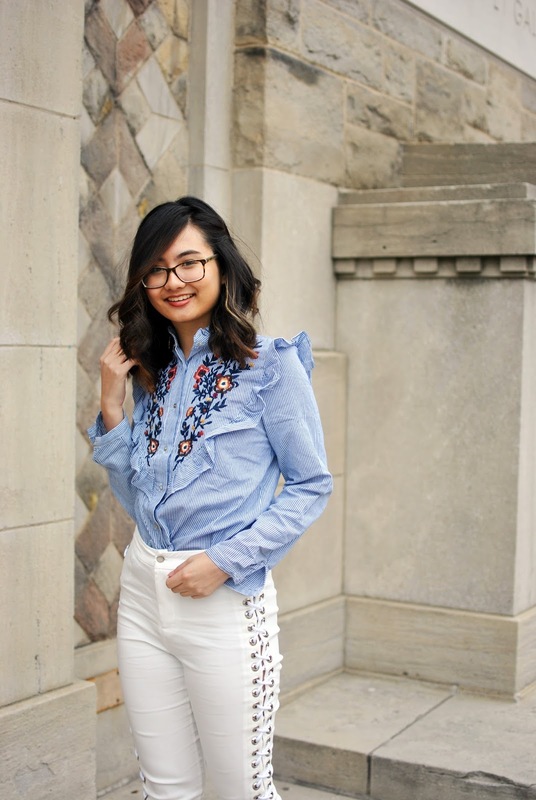 Instead of sporting just a plain pair of white pants, I recently received these lace up ones* from SheIn. They’re such a statement piece and I have no other way of saying this but they are just flat out COOL. I’ve been trying to purchase more bolder pieces in terms of style/cut instead of prints/patterns and colour! Disclaimer: Products labelled with an asterisk (*) were sent to me to feature on my blog. All opinions are my own. I've totally been loving fishnets this spring!! I've been loving fishnets! I've always loved the lacey, more edgy tights. Wearing them under ripped jeans is my favorite! And scalloped detailing is so cute! I hope I can actually get a couple pieces with it this season. Yesss love them!! Never thought I'd be into that trend! Omg you probably can pull it off!! The embroidery trend is amazing and I guarantee you'll be addicted once you start 🙂 YES, the quality is much better than you'd think!